Dr. John Sylvester is considered a pioneer in prostate cancer brachytherapy. He has performed over 6,000 prostate brachytherapy procedures to date. Dr. Sylvester is currently a Radiation Oncologist at 21st Century Oncology in Lakewood Ranch, Florida. Dr. Sylvester has also contributed to the field by developing multiple technical improvements for the procedure and publishing numerous articles and medical textbook chapters on prostate brachytherapy. According to Dr. Sylvester, brachytherapy provides many advantages over surgery for prostate cancer treatment. This underscores the importance of prostate cancer patients becoming aware of brachytherapy as a treatment option. Some of the advantages over surgery that Sylvester mentions are higher cure rates and lower risks for incontinence in a shorter, outpatient procedure. Dr. Sylvester speculates that the reason many patients are unaware of brachytherapy is due to the combination of patients’ reliance on the internet for information and a need for increased marketing and other awareness activities for brachytherapy. 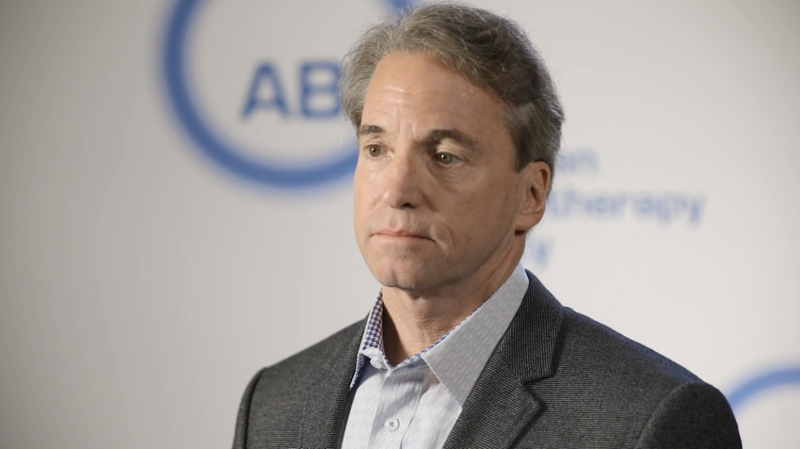 Watch part of our interview with Dr. Sylvester from ABS 2018 to learn why prostate cancer patients should take brachytherapy into consideration as a treatment option. If you would like to learn more about how brachytherapy improves outcomes for many types of cancer patients, especially prostate cancer patients, contact info@isoray.com.